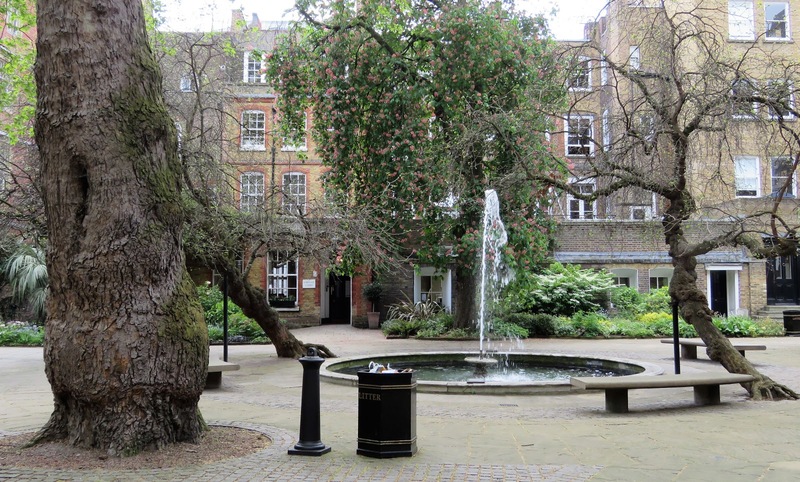 When last in London I chanced upon the Inner Temple garden on my way to Dr Johnson's House, a regular haunt of mine. Dr Johnson, as many of you know, is one of my mild obsessions. On return to Melbourne I discovered a lovely little article about this garden in the May 2018 issue of the Royal Horticultural Society magazine, The Garden. 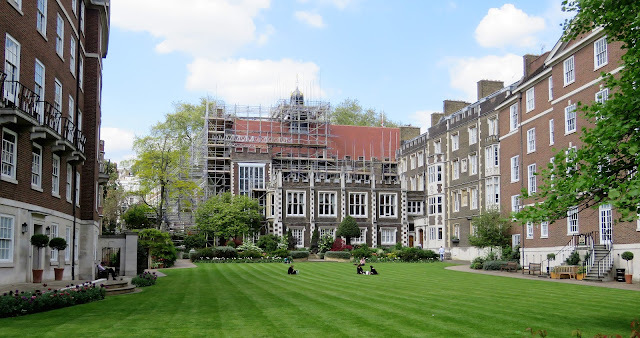 And so I learned that the Inner Temple began in the 12th century as one of the locations for a professional association of barristers called an Inns of Court. 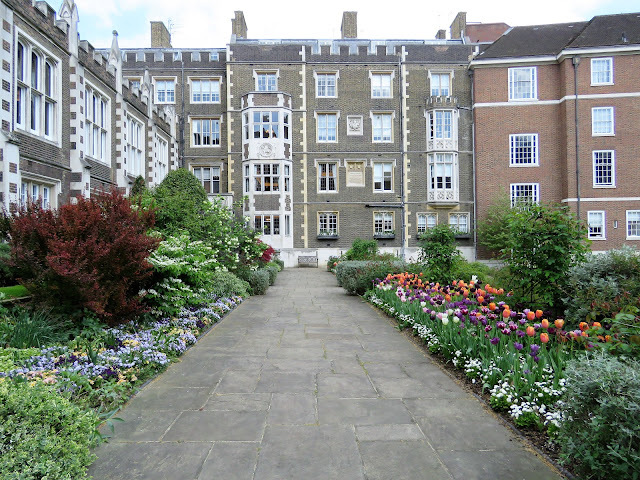 This particular Inns of Court has always been proud of its garden and according to Janine Wookey, who authored the article in The Garden, Shakespeare used this setting in 'Henry VI Part 1' for the selecting of white or red roses at the start of the Wars of the Roses. To help orientate you, we are on the north bank of The Thames, beside the Victoria Embankment. There is to our west Middle Temple, and the wider area is called simply The Temple, bounded at the north by Fleet Street. The 1.2 hectare Inner Temple Garden sits inside Inner Temple, which occupies most of the eastern half of The Temple, including a collection of buildings clustered around Temple Church and the Inner Temple Garden. As implied above, I've 'visited Dr Johnson' quite a few times but never wandered into the Inner Temple Garden or to any great extent The Temple area itself. All of which is worth a visit if you like beautiful English courtyards and gardens. This is one of the nearby courtyards. 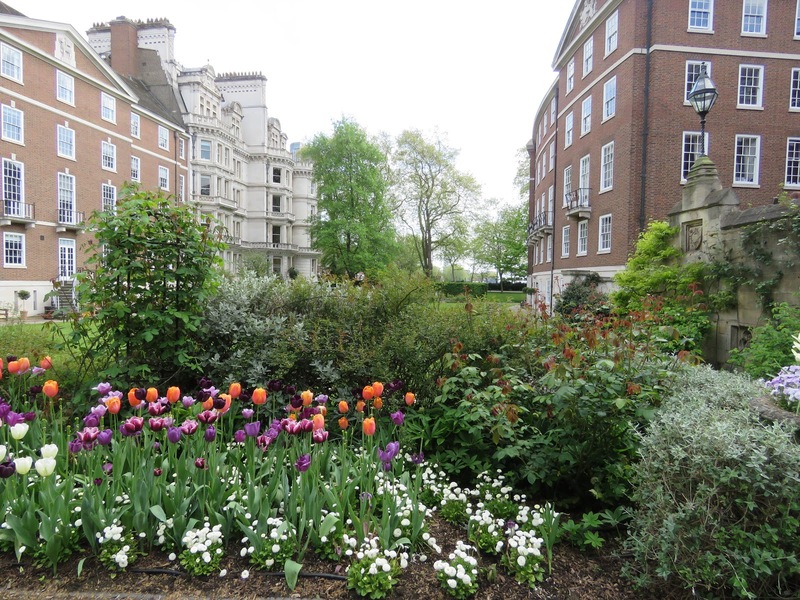 The Inner Temple Garden landscape I saw was created by Head Gardener since 2007 (although just about to head of to a new job at Longwood in the USA), Andrea Brunsendorf. Brunsendorf has added not only lots of colour but also, I gather, by adding plenty of manure and mulch, an attractive soil for worms. The large lawn has been a constant feature through the centuries, as has the 100 metre long Wars of Roses border now populated with white (Rosa x alba; White Rose of York) and red (Rosa gallica var. officionalis; Red Rose of Lancaster) roses, of course. But also purple foxgloves and Hersperis (aka Dame's Rocket, a flower and I remember featuring strongly in the Generalife garden of the Alhambra, overlooking Granada in southern Spain, last year). Somehow on my visit I skipped the border. Let's say it wasn't in peak flower; the roses I did see were flushed red with new vegetative growth. 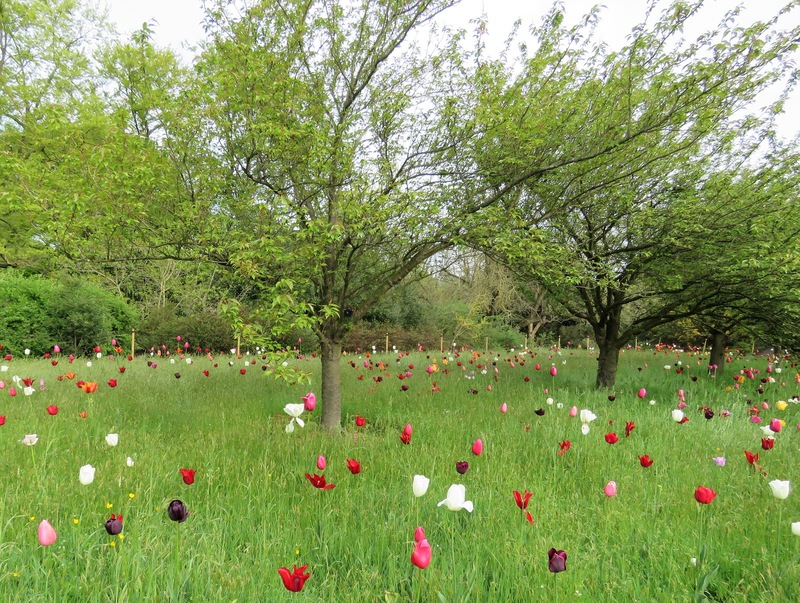 For me in early May, it was all about bulbs, and in particular tulips. Indeed tulips were a bit of a motif throughout London in early May, here outside St Paul's Cathedral and also in a meadow beside the newly renovated Temperate House at Kew Gardens. 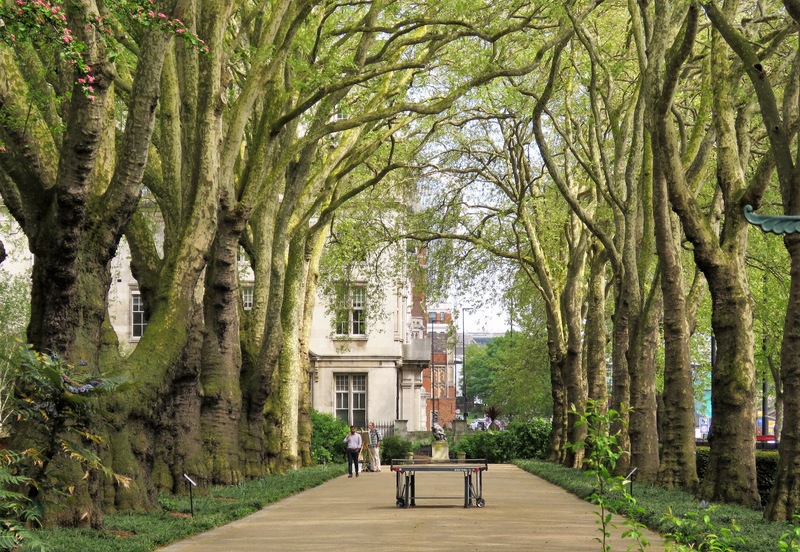 At the River end you can peer across to the Broad Walk, an avenue of plane trees planted in 1870. According to the article in The Garden these are rooted in only 3.6 metres of soil, above the London Underground.